Wisconsin feels like the center of it all, doesn’t it? And the 45×90 point proves that for the Northern and Western Hemispheres, it is! Technically, it’s the exact center of the northern half of the Western Hemisphere. On Earth, the 90th Meridian (90°W) marks the halfway point between the Prime Meridian (which runs through London and other locales as 0°) and the International Date Line (180°). In other words, it’s the midpoint of the Western Hemisphere. Meanwhile, the 45th Parallel (45°N) marks the theoretical halfway between the Equator and the North Pole, making it the midpoint of the Northern Hemisphere. Now, this one is a little more debatable, since the slight flattening of the earth’s sphere near the poles means from a mileage standpoint, the halfway point between the North Pole and the Equator is actually about nine miles north, but it depends. 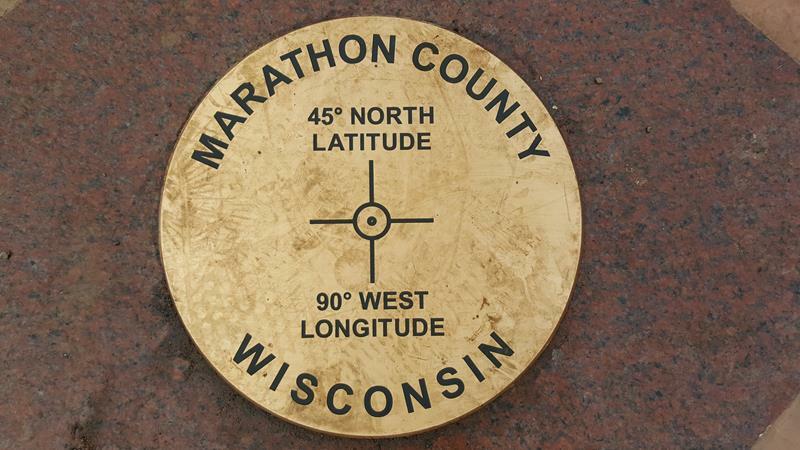 In western Marathon County, 45°N and 90°W meet. The point is prominent on every globe and major world map you’ve ever seen. There are four of these “double-halfway” points on the Earth; this is the only one easily accessible on land. 45×90 is a very unique geographical landmark. This path leads you to the point where 45°N and 90°W meet. 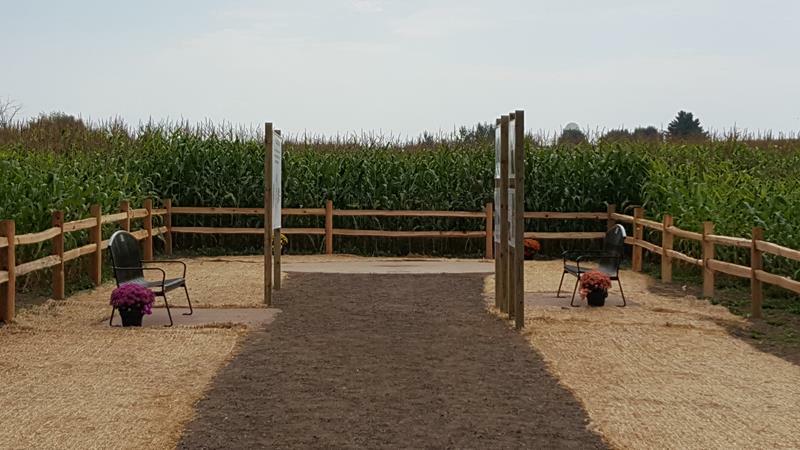 For centuries, this significant geographic point sat under corn stalks in a farmer’s field; Meridian Road ran north-south about 300 yards west of the 90°W line and a parking lot by the road featured a marker, noting the spot was “near.” In 2017, the exact point became marked and accessible to the general public; a walking path leading from the parking lot leads you there. 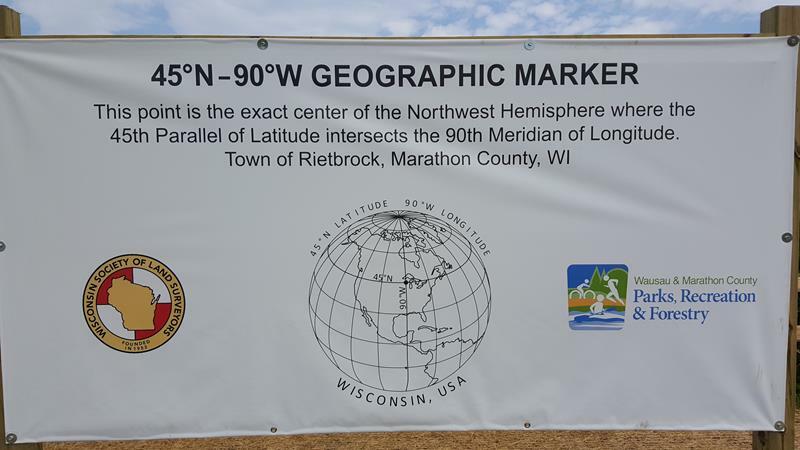 Signs provide insight on the location’s significance and a concrete and stone marker notes the exact point of the exact center of the Northern Hemisphere. You can stand on it, around it, whatever you want. 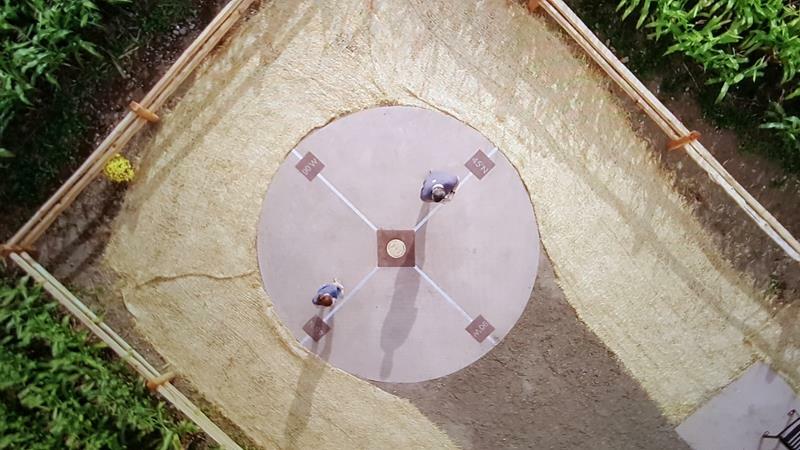 The 45×90 marker from above. Directions from Highway 29 Eastbound: Near mile marker 149, turn north of County M and follow it to County U. Turn right on U to Meridian Road. Turn left on Meridian and 1/4 mile north the parking area will be on your right. Directions from Highway 29 Westbound: Take Exit 150/Edgar (County H) and head north on H. After a few miles, turn left on County U and follow it to Poniatowski. At the main intersection (you’ll know it, trust us), turn left/west, which is a continuation of County U. About one mile down, turn right on Meridian Road; about 1/4 mile north the parking area will be on your right. Wausau is the nearest sizable city to the 45×90 point, and if you make it to their Visitor Center, you can sign the guest book and be a part of the “45×90 Club” – showing you’ve been there. They’ll even give you a commemorative coin!